The global company showcases an extended portfolio for food retail, food service, merchandiser applications at Chillventa. 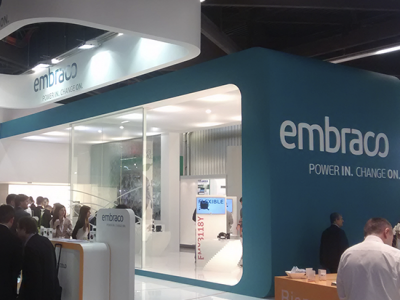 From October 16th to 18th, Embraco participates in Chillventa International exhibition to reinforce its positioning as one of the largest players in the refrigeration segment promoting quality of life through innovative cooling solutions. Apart from offering a wide array of technologies, Embraco launches its complete and extended portfolio that enables attending an entirely new set of applications on food retail, food services and merchandiser markets. Food retail: solutions for supermarket and convenience stores applications, such as self-contained reach-ins, frozen islands, cold rooms and others. Food services: applications for restaurants and bars, bakeries and equipment for professional kitchens, ice makers and cold rooms. Merchandisers: solutions for sought-after bottle coolers and ice cream cabinets. Complete portfolio: New product launches including the portfolio extension, such as NJX (new 2hp single piston compressor), Scroll, as well as complete solutions in natural refrigerants and transitory alternatives. 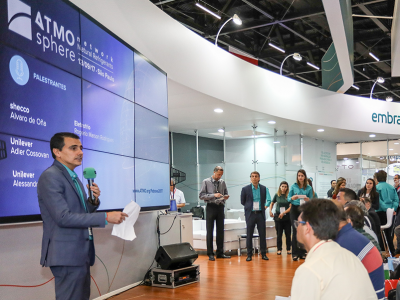 Additionally, Embraco will provide a training session with a specialist in the refrigeration market, Gilmar Pirovano, Sales Senior Manager for Europe, who has 30 years of experience in the segment. The presentation highlights Plug n’ Cool, a complete solution for the food retail chain which reduces energy consumption by up to 32%. The training “Plug n’ Cool – A new concept in refrigeration” takes place at Chillventa (Hall 7A, stand 7A-618), on October 16 – 1:40pm-2:00pm. Click here to register your participation. 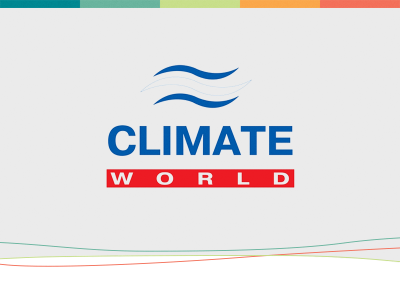 For more than 20 years, the company has used natural refrigerants in its portfolio for commercial and household as an alternative to reduce the negative effects on the ozone layer, greenhouse effects and to improve the equipment’s energy efficiency. “One of the company’s focuses is to offer the best refrigeration solutions, while educating the market to its use. At Chillventa, we will be presenting our complete portfolio in natural refrigerants with alternative solutions to customers that haven’t yet migrated to hydrocarbons”, reinforces Daniel Campos, global Sales Director.